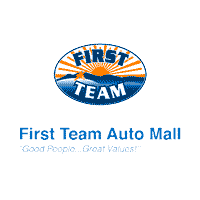 At First Team, we know that your car shopping decision is one of the most important you will ever make. That’s why we always want to make sure our customers are fully informed before making a buying or leasing decision. The more you know about the specific vehicle you want, financing options, and added value, the more satisfied you will be with your final purchase or lease. Basically, when you buy a new or used car you pay for the entire cost of the vehicle. When you lease a new or used car, you pay for only a portion of the vehicle’s cost, which is the part you use during the time you are driving it.